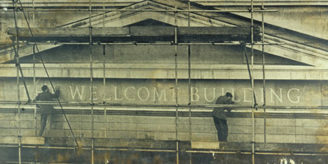 A perennial favourite of researchers in the archival collections of the Wellcome Library is the archive of the Pioneer Health Centre, Peckham, including the papers of its founders, George Scott Williamson and Innes Hope Pearse. Now thanks to a couple of recently digitised films, including some amateur footage, a much wider audience can discover more about the Centre for themselves. The aim of its founders was to uncover the factors that made for positive health, rather than simply an absence of illness, and to this end they set up a family social centre in 1926 in the South London suburb of Peckham, which also offered periodical and thorough health checks and discussions with the doctors as to what the family should do. A blue plaque was unveiled in 2009 on the house in which the experiment took place. Because of the enthusiasm for the project generated in the local population, it soon outran the capacity of this location and the Centre closed for several years while money was raised for a purpose-built centre, which was eventually opened in 1935. 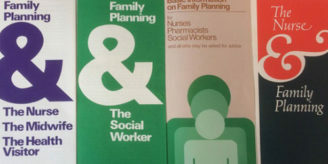 Although this was a small and very local experiment – Scott Williamson and Pearse believed that the Centre, and others that they hoped would be established on the same lines, should be embedded in the local community and readily accessible to members – the Centre aroused an enormous amount of interest both nationally and internationally. It received many distinguished visitors, from doctors and scientists to health and welfare reformers. Queen Mary visited in 1939, though this was just before the Centre was obliged to close because of the outbreak of World War II and the particular danger to a largely glass building of bombing. Thanks to the initiative of the membership, the Centre reopened in 1946, and the extent to which it was back to running at full capacity is demonstrated in the film called ‘The Centre‘ made by the noted documentarist Paul Rotha. Besides this professionally shot and carefully structured film of the Centre in action, the Library also holds some home movies of the Centre made by its members. These include footage of babies in the Centre nursery playing on the specially designed equipment and members of the Centre at Oakley Farm, Bromley Common. The farm had been leased by Pearse in 1935 in order to provide organic produce for Centre families, and a number of families were evacuated there on the outbreak of war until it was requisitioned by the RAF. The Centre did not long outlast the foundation of the National Health Service. Scott Williamson had been unable to get his ideas accepted within policy-making circles in spite of the support that the Centre had accrued. As an institution it did not fit comfortably within the NHS top-down bureaucracy. In spite of receiving funding from the Rockefeller Foundation, it finally closed in 1950. However, its ideals continued to be propagated and a number of projects inspired by its examples are documented within the archive. The Pioneer Health Foundation continues to promote the legacy of the Centre and its vision of positive health. Author: Dr Lesley Hall is an historian and Senior Archivist at the Wellcome Library.